Maulana said that Allah gave different herbs, special qualities, by His Divine Wisdom. He related a story, at the time when GrandShaykh Abdullah Daghestani was still serving his Shaykh, GrandShaykh Sharafuddeen. On one particular day, Shaykh Sharafuddeen had remarked to Shaykh Abdullah, that he had been having to re-new his ablutions many times that day, as he had been going to relieve himself very often, ever since he drank the tea that was served to him. Shaykh Abdullah went to investigate, and noted that the regular tea-maker was not present. Instead, a man named Ahmad, a Majzoub from Daghestan, who had come to Damascus to serve the Shaykhs at the age of 120 years old, had made the tea. He was a courageous man, who even at that age had rosy red cheeks that were full of noor. Shaykh Abdullah observed him making tea, and found that he had made the tea, without bringing the water to a boil. This was the cause of the diarrhoea that Shaykh Sharafuddeen had experienced. If hot tea that had been brought to a boil had been drunk, no such effect would have been experienced. Maulana said that it is amazing how the same herb, prepared under different conditions, produced startlingly different results! Moreover, the diarrhoea induced by herbs, was a cleansing and purifiying detoxification laxative, that was better than any medical pill was. Natural medicines are the best alternatives to doctor’s pills. There are no side-effects, and it doesn’t create ‘heaviness’ for the body or harm the kidneys – it removes excess water easily and safely. Such is the Wisdom of Allah. In a hadees, it is said that Allah Almighty has, by His Mercy, appointed a cure for every illness. Every one of these cures is natural. Hence, every plant growing in nature, has a benefit. Allah has created all kinds of plants on earth for this purpose. There is a special quality within each plant, and if humans use that special quality, they can find comfort. Most doctors reject this with cynicism, and will always push their patients to take only artificial medication. They try to replace the natural cures with man-made pills and vaccines. The main concern is the commercial gain that selling these man-made medications reaps. People do not get completely well with these commercial medications, as, while they ‘cure’ one symptom of the illness, they damage and destroy other internal organs. So put yourselves in Allah’s Hands, and believe in His cures. Allah arranges the lives of all creation, we must understand the purpose of the herbs that he created. He who has faith in this (that all plants bring cures for various diseases), will be able to extract benefit from the multitude of species of flora on earth. As compared to pills, healing that arises from plants that grow in the mountains, or deserts, may be of slow onset – perhaps you may see nothing happening in the first few days. It does take longer to heal you, but eventually you will be completely healed from the disease. Unfortunately, people of this era, have no patience, they want instant cures and immediate relief. Maulana prayed for our faith to grow stronger, as those who had faith would lead sweet lives, whilst those that had no faith, would lead poisoned, bitter lives. This 9 minute Snippet in Turkish, can be only be watched at www.Saltanat.org, choose from the menu on the right, ‘Natural Cure 13.Nov 2010’. There is a CC button next to the Volume control at the bottom of the screen to choose choose subtitles in eight languages, choose from Arabic, Bahasa Indonesia / Melayu, German, English, Spanish, Italian, Russian and Turkish. During Live Suhbahs, the buttons at the top provide Live Audio Translations into other languages. Should the video no longer be there, please look for it under the video archives of the Saltanat TV site. Abu Hurayra (ra) had said that Rasulullah (saw) said: “There is in this black seed [black cumin seed] a cure for every illness, except death.”� We must believe, as the Prophet’s (saw) words are heavenly revelations! Allah has sent us the cure to all diseases, except for death – one cannot stop death. Habbatus sauda (black cumin seed) can be eaten by spreading it on bread, or they can use its oil to cook. This is a sweet blessing from Allah, so treasure it. Use it regularly, and you will have no need for any other medication! This 2 minute Snippet in Turkish, can be only be watched at www.Saltanat.org, choose from the menu on the right, ‘Black Seed 05.Nov 2010’. There is a CC button next to the Volume control at the bottom of the screen to choose choose subtitles in eight languages, choose from Arabic, Bahasa Indonesia / Melayu, German, English, Spanish, Italian, Russian and Turkish. During Live Suhbahs, the buttons at the top provide Live Audio Translations into other languages. Should the video no longer be there, please look for it under the video archives of the Saltanat TV site. Allah has made salt halal, and a cure for many diseases. Maulana pours scorn on researchers who claim that taking salt is harmful to the body. If indeed it is a poison, it should harm all of Mankind, and it should cause harm in small and in large amounts. What is halal is clear, and what is haram is clear, Maulana says. Maulana said doctors have been advising patients to avoid three white things – flour (flower), salt and sugar. If that is case, what shall we eat, asked Maulana? The earth? When scientists linked salt to the cause of certain diseases, Maulana said that they had failed to identify other causative factors, and had jumped to a premature and illogical conclusion. For example, consider this cause of illness, Maulana says – haram food! Just as halal food never causes illnesses, everything haram is the cause of today’s perplexing array of diseases. An enemy of Islam had once given a Companion, a cup of poison to drink, saying to him, “Drink this poison (if you dare), and if indeed your religion is true, then it shall be known for all to see.”� The Companion recited, Bismillahir Rahmanir Raheem, and drank the whole cup, without any ill effect. The secret as to why he did not die? The recitation of Bismillahir Rahmanir Raheem makes every food over which it is read, clean and useful. So never leave its recitation! Any piece of food/drink, over which Bismillahir Rahmanir Raheem has been recited over, feels ashamed to have been honoured so, and it would never then give trouble to people who eat it. For such food to harm people is an impossibility, as nothing over which Bismillahir Rahmanir Raheem has been recited, can be of harm to the servants of Allah. So recite Bismillahir Rahmanir Raheem when you buy the groceries, while you prepare the raw ingredients, when you cook them, when you serve them, and when you eat them. This 17 minute Snippet in Arabic/English, can be only be watched at www.Saltanat.org, choose from the VIDEO LIBRARY, ‘About Salt 16.Nov 2010’. There is a CC button next to the Volume control at the bottom of the screen to choose choose subtitles in eight languages, choose from Arabic, Bahasa Indonesia / Melayu, German, English, Spanish, Italian, Russian and Turkish. During Live Suhbahs, the buttons at the top provide Live Audio Translations into other languages. Should the video no longer be there, please look for it under the video archives of the Saltanat TV site. 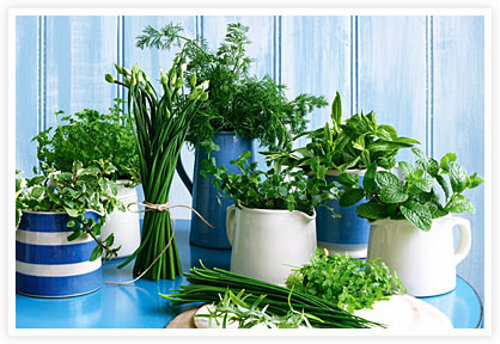 Not only are plants and herbs sources of medicine, preparing them in different ways also cures different illnesses. Different parts of a plant can provide aid for differing ailments – the bark, roots, stems, leaves, buds, seeds, flowers and fruits – all have different properties. And these can be dried, boiled, juiced or simply taken raw – there are so many ways to extract the goodness contained within them. Allahu Akbar! Many diseases take years to develop within our bodies. Our diet today is one of fast food, instant food and junk food – unhealthy, preservative-laden meals that release so much that is damaging into our systems. Maulana has repeatedly advised us to go natural. Eat home cooked meals as opposed to eating out. Flame cooked as opposed to microwaving. More veggies as opposed to meat for every meal (it is a Sunnah to eat meat once a week, on Fridays usually). Fresh fruit instead of preserved. Drink fruit juices instead on carbonated canned drinks. After years of self-abuse, the accumulated toxins and questionable additives would have caused many of this modern day’s illnesses – obesity, hypertension, diabetes, gout, arthritis, heart disease, stroke…..the list is endless, our hospitals are bursting at the seams, yet, in the Prophet’s (saw) time, physicians had absolutely nothing to do! Why? Our first step to good health, is to change our unhealthy lifestyles. Do away with all junk, instant and fast food. Especially canned drinks! Check the labels of all food that you buy, even children’s snacks, make sure that it is really halal. Eat home cooked meals where-ever possible. Cook with ablution, zikrullah and a happy heart, for such vibes are also transmitted into the meals. Start and end all meals with a pinch of salt, as this removes 40 chronic illnesses (some even say 70!). Sayyidina Ali (ra) said, “Whosoever commences his meal with salt, Allah will eliminate seventy types of illnesses from him.”� Even if you are forced to eat out, ask for salt to start and end the meal. Start each meal with Bismillahir Rahmanir Raheem and end with Alhamdulillah. If possible, do that for each mouthful. Train your kids to do so, as once it is a habit, they are so blessed. Even if the food has been tainted without your knowledge, genetically modified to include haram additives without public knowledge, or been sold with fake Halal certification, once you recite Bismillahir Rahmanir Raheem over it with certainty and sincerity, Allah makes that food, pure for you again! Do simple exerecise, like walking, after meals, as a hadees says, “Digest food with Zikrullah and mild exercise.”� Never sleep immediately after eating. Stop smoking, it is haram, sayas Maulana. Leave all that is haram. Go for cupping, on the 17th, 19th or 21st of the Muslim Calendar. Once we fall sick, we must know that a hadees says, “Do not neglect having your diseases treated, for Allah does not send a disease for which He will not send a cure except for old age.”� Black seed, honey, cow’s milk and mentioned as health-restoring food that should be consumed. Maulana says that we must seek natural cures, even though it may appear to take longer to show an effect, as natural cures have no harmful side-effects. Just as diseases take time to develop, it must also take time to be cured, so it is best to exercise patience, instead of seeking an instant cure by popping pills or getting a quick jab. For example, obesity takes time to develop. It is best to shed the extra pounds gradually via judicious use of diet and exercise – the quick-fix crash diets, that attempt to remove fat instantly never works, and worse still, surgery (liposuction) to remove the excess fat is life-threatening with many complications. So be patient – illness is a time to reflect and repent, to draw closer to Allah, as it takes us away from our worldly activities, and it takes the pleasure away from all our bodily desires (eating, drinking, marital relations, sleeping). When the body lies weakened, the Spiritual senses are heightened, so it is special ‘private-time’ between you and your Lord. We are asked to visit the sick, and to ask them to pray for us, as they are under the rain of His Mercy, they are close to Him in that state. Also, another hadees says to give a sick one the food he seeks, for there is an innate guidance given by the Soul to seek foods that heal. We will starting a Natural Cures Page on on our website to encourage readers to share their herbal cures, as well as to promote this form of cure amongst the believers. Here is a link to a list of natural medicines taught by Maulana. We will incorporate this list in our website too. This entry was posted in Maulana Shaykh Nazim's Suhbahs and tagged Black Seed, Habbatus Sauda, Herba, Honey, Medicine, Milk, Tea. Bookmark the permalink.